Superdry men’s Gym Tech stretch shorts. With stretch technology these shorts have been made with your comfort in mind and with thermal properties, they are perfect to wear during and post workout. 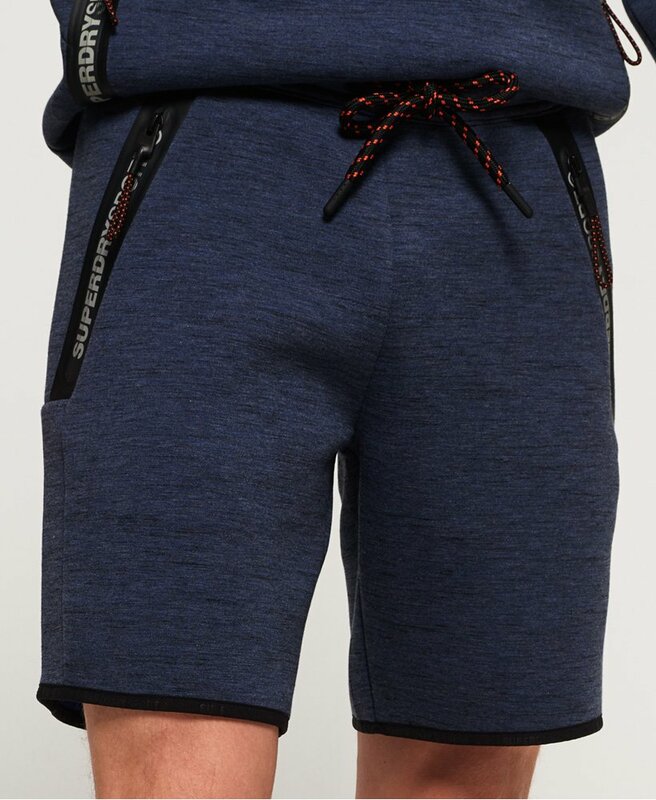 The Gym Tech stretch shorts feature an elasticated waistband, drawstring fastening and secure zip pockets on the front and reverse, perfect for carrying your phone and keys to and from the gym. These shorts are completed with a small, rubber Superdry sport logo badge on the side.